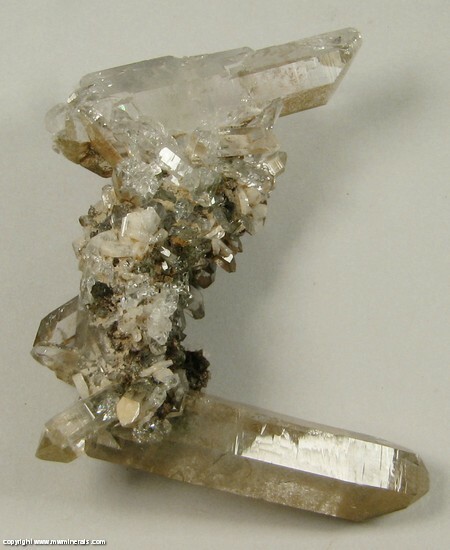 Two Quartz crystals at an angle from one another are connected by a bridge of smaller Quartz crystals and small, platy, off white colored Albite crystals. 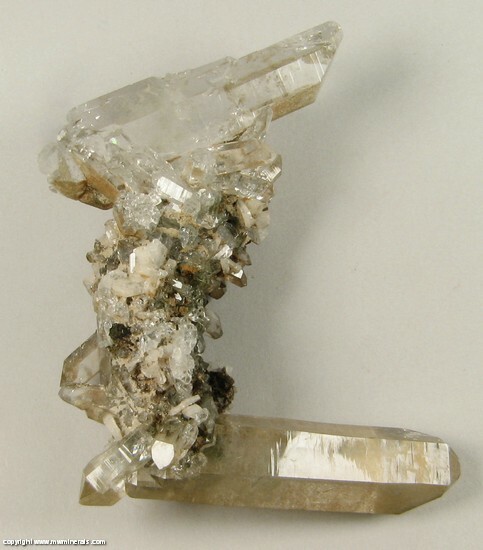 The Quartz is clear and transparent with the exception of dark green colored Chlorite. 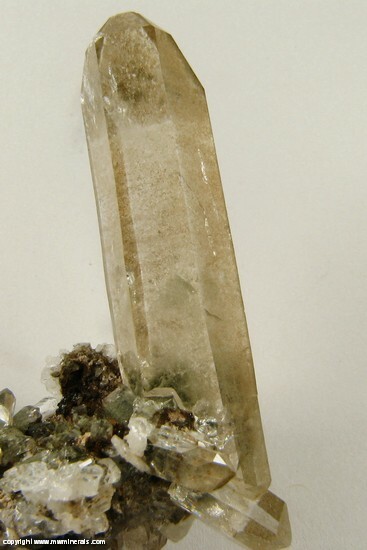 In some of the crystals, including the largest, Chlorite phantoms are present. 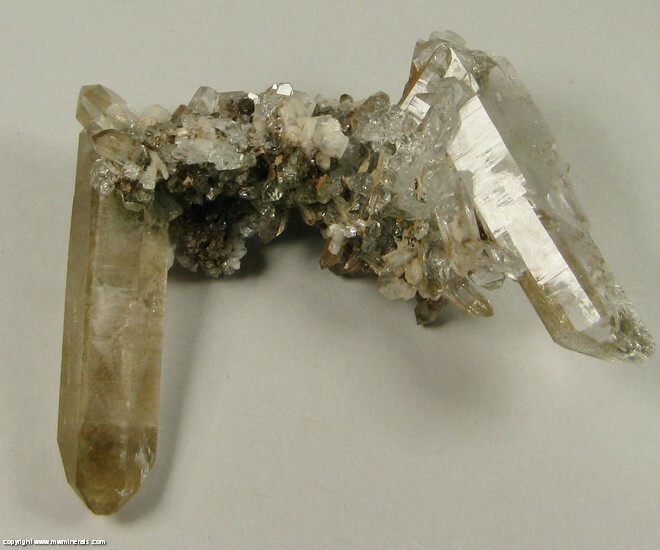 For the most part, the Quartz crystals have a high glassy luster. 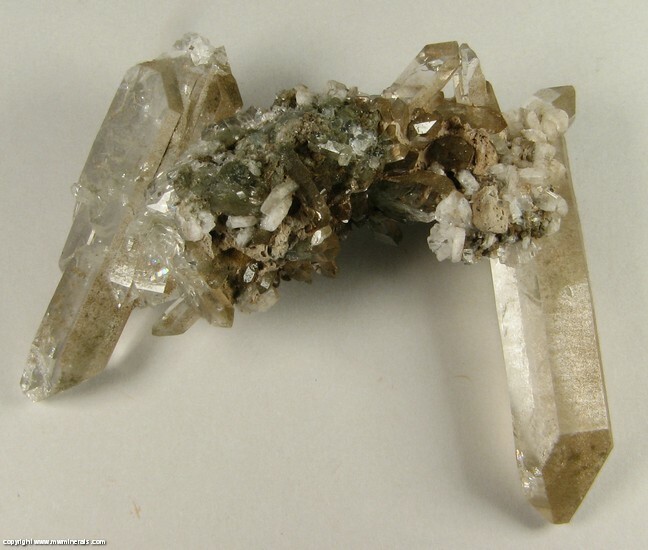 However, on two sides of the largest two crystals and many of the smaller crystals, there is a coating of micro Chlorite crystals which have more of a brown color. This coating causes these sides to be less lustrous. 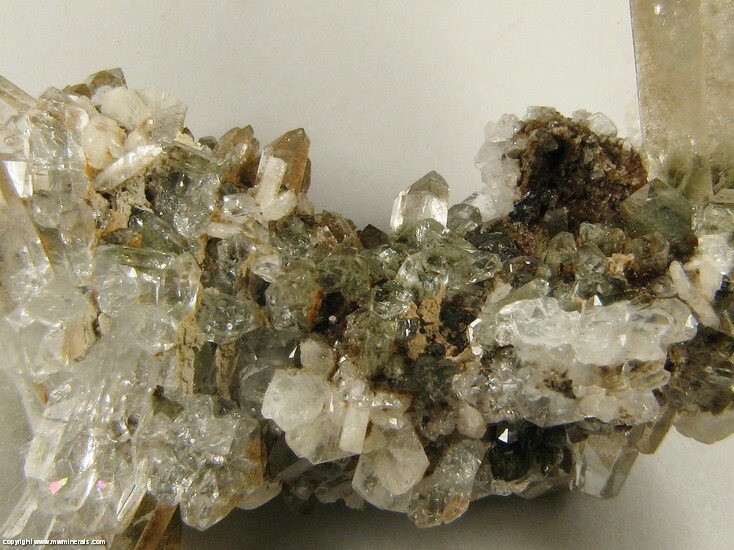 The overall color of the largest crystal is affected by this coating. 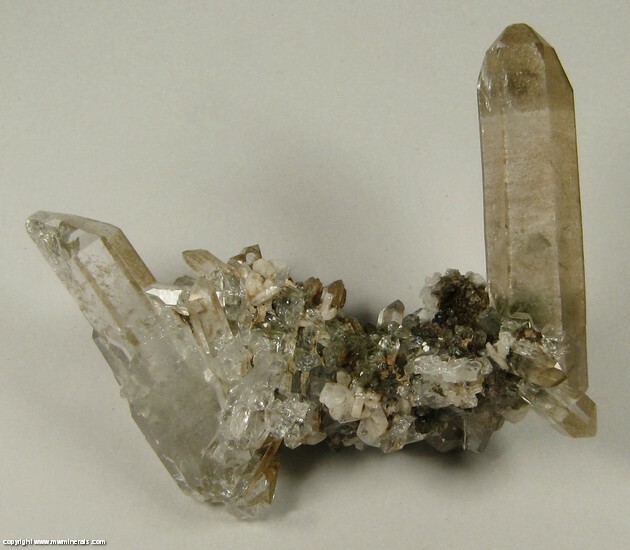 The specimen is in good condition with the exception of internal fractures near the bases of the terminations on the two largest crystals. 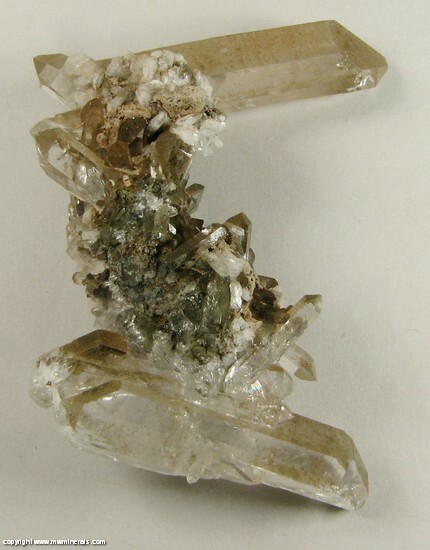 There is also some damage on the termination of the second largest crystal at the shorter end.